Beleaguered Indian airline Jet Airways has suspended all international operations amid its continued financial struggles. The suspension is currently planned until Monday when airline officials will be meeting with lenders to attempt to secure more funding. Flights to London, Paris, and Amsterdam are among those suspended with passengers booked on these flights left seemingly stranded. Westbound services are expected to resume on Friday afternoon, flights to Asian destinations including Singapore, Bangkok and Colombo, however, are expected to remain suspended. India’s largest privately owned airline has been in financial trouble for months that has crippled its operations. 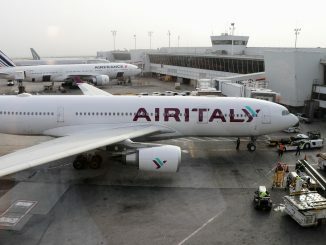 Currently, the airline is only operating with only around dozen aircraft of its fleet of over a hundred after failing to pay creditors and secure capital to cover its costs including employee payments, lessors and ground handling services. Indian regulations require an airline to have a fleet of at least 20 aircraft for it to operate internationally. 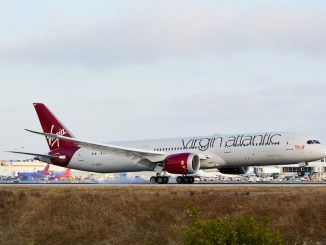 Complications heated up on Wednesday when a Boeing 777-300ER registered as VT-JEW was seized by Dutch authorities at Schiphol Airport Amsterdam after Jet Airways allegedly failed to pay handling fees to World Flight Cargo Services. At the same time, aircraft lessors including SMBC Aviation Capital, MC Aviation Partners and Avalon have sought aircraft repossession following doubts over the airline’s proposed restructuring plans. Last week, 11 Boeing 737-800s were deregistered by India’s Directorate General of Civil Aviation (DGCA) with an additional 11 currently in the process of being deregistered. This brings the number of grounded aircraft to 80, almost 70 percent of Jet Airways’ 124 aircraft fleet. 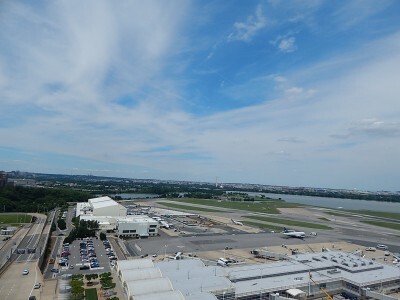 Additionally, other reports suggest that fully operating equipment comes down to a mere 14 aircraft. The logistical strain of the crippled fleet has meant delays and cancellations, leaving passengers stranded. 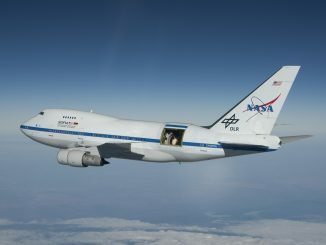 The airline currently has debts in excess of $1 billion, with the downhill trend starting last year when the airline began posting heavy losses. 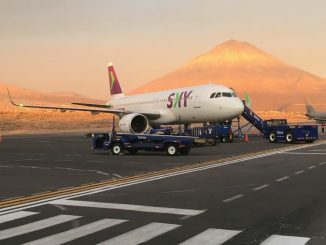 The situation has been worsened as the airline mostly leases its aircraft and as it has been unable to make its lease payments, lessors have been slowly taking back their aircraft. Every aircraft seized means another delay or cancellation for the crippled airline. 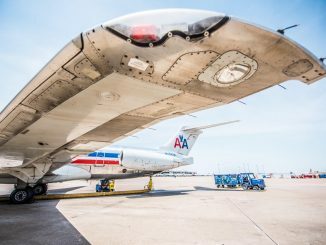 Searching for a financial lifeline, the airline recent underwent a shakeup in its leadership in an attempt to secure new funding. Despite the change in leadership, a lifeline has yet to be found. Employees have threatened to stop work over three months of unpaid wages, and fuel suppliers have stopped supplying fuel over unpaid bills. Etihad Airways, which owned 25 percent of the Indian carrier, proposed a new restructuring plan last year that would help reduce debt and increase long term liquidity. 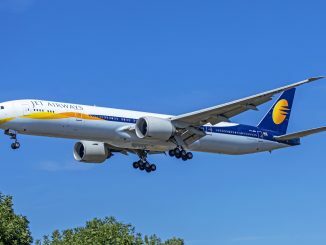 The Abu Dhabi-based airline injected an additional $ 35 million to help Jet Airways pay for its financial duties including salaries and aircraft lease payments. Even with the help of its Middle Eastern financier, Jet Airways’ financial deterioration only exacerbated over the next few months as a sharp increase in fuel price, along with a depreciation of the Indian rupee and increasing competition in the Indian domestic market, put the carrier in a very tough position. At the end of September 2018, the carrier reported a net loss of 12.97 billion rupees, equivalent to $178 million. In January, the carrier then defaulted on several loan payments and struggled to pay for salaries, leases and other operational costs. In February, a consortium of Indian banks led by the Indian government injected $218 million as part of a debt resolution plan. This made its founder, Naresh Goya, have to step down as chairman, giving control to the consortium. 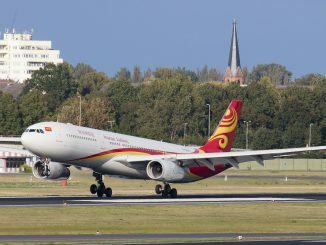 In order to sell the airline, the consortium began a stake sale last week, with prospective buyers having until today to express their interest to purchase. Given the current state of affairs, however, it seems pretty unlikely anyone would raise their hands. 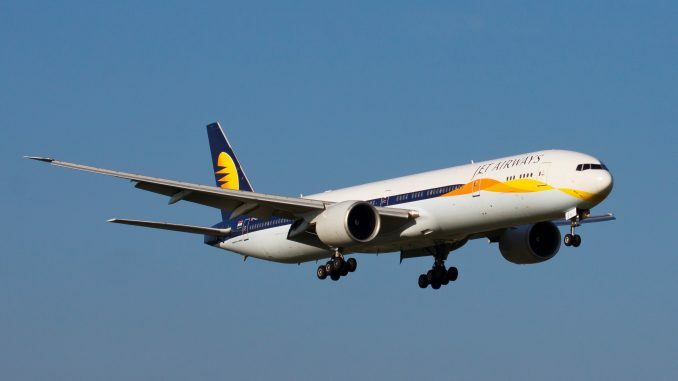 The Indian government is closely monitoring the situation with Jet Airways and government officials have reported that the airline only has enough funds to operate six or seven aircraft over the weekend. Previously, the government asked public sector banks to invest in the airline; however, lessors have only released a fraction of the money promised which has lead to leasing companies going unpaid. The group of lenders is looking for new investors, though it is a process which could take months for an airline which may not survive another week. The pilot union for Jet Airways pilots has called for a pilot strike this Saturday which could further cripple the airline. The group is demanding the payment of missed wages to employees, who have also marched on the airline’s headquarters in Mumbai demanding wage payment and clarity on job security as the airline edges towards collapse. Jet Airways has become the latest victim in a string of airline collapses. 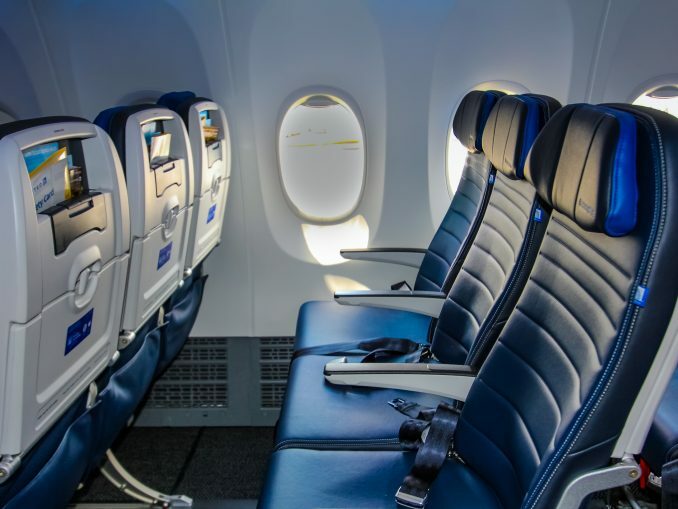 In the last year, the industry has seen the downfall of Monarch Airways and WOW air as they have struggled financially. Jet Airways was once seen as a rising star in India, a market dominated by national airline Air India and previously burned by the collapse of Kingfisher Airlines. Now, it appears that the Indian market will be faced with another hole in its aviation market. Five Airlines Ink Huge Equity Deals: But What Comes After?